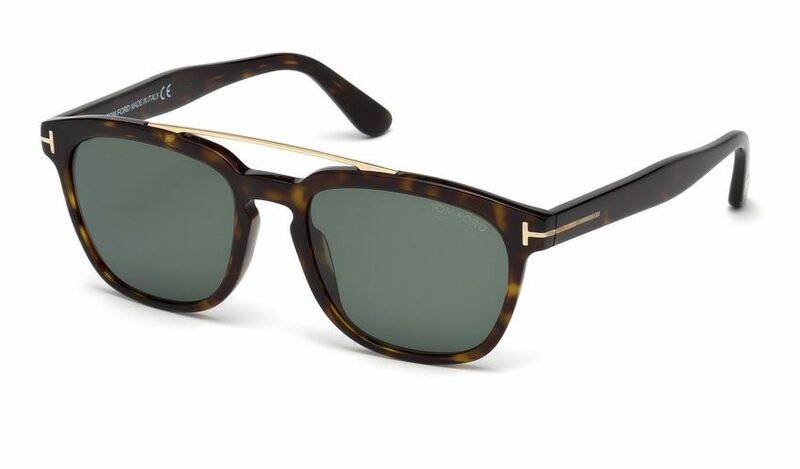 Tom Ford FT516 Holt 52R Sunglasses. 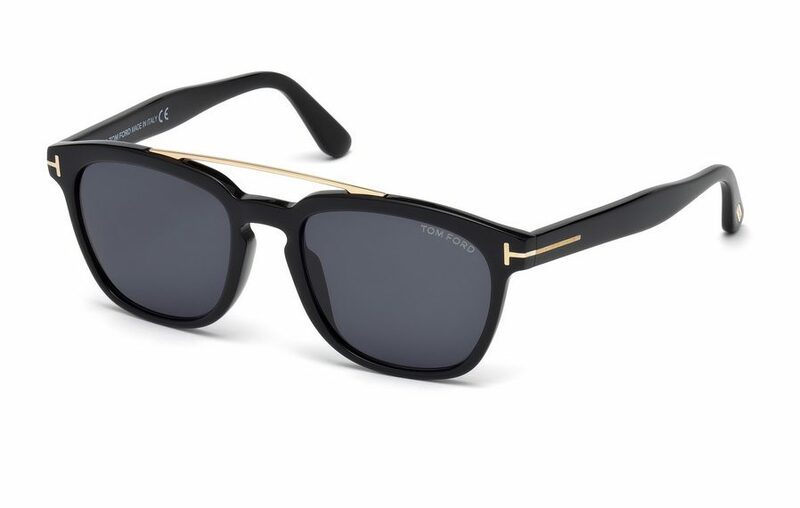 Plastic rectangle Tom Ford in dark havana sunglasses with gold double bridge bar and keyhole bridge. 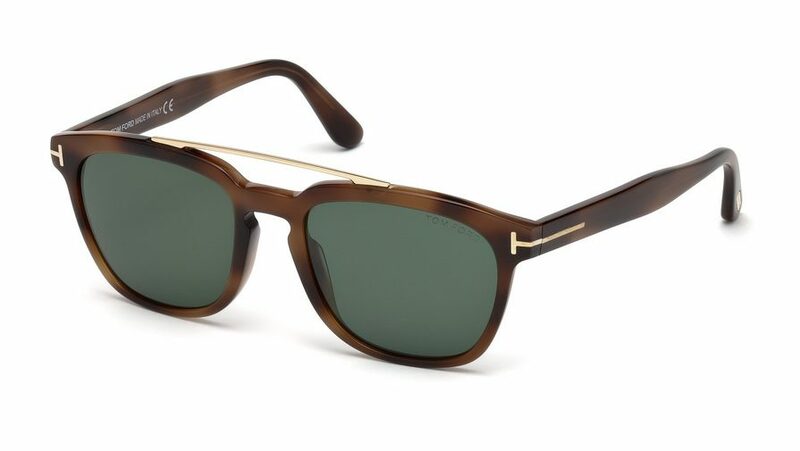 Dark green polarised lenses to eliminate glare with full UV protection. Free UK delivery. Includes Tom Ford velvet case and cleaning cloth.